Home » Comics and Comic News » DARK HORSE RETURNS TO PANDORA! DARK HORSE RETURNS TO PANDORA! For the past thirty years, Dark Horse Comics has worked to bring filmmaker James Cameron’s epic sci-fi blockbusters like The Terminator and Aliens to comic shops everywhere. 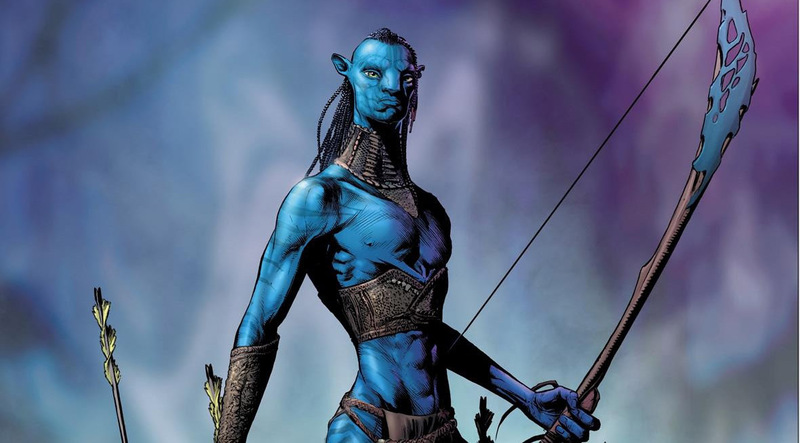 In 2019 that partnership continues with the release of Avatar: Tsu’tey’s Path, a comics companion to the highest grossing film of all times! Adapted by Sherri L. Smith, the award-winning author of Lucy the Giant, Flygirl, and Orleans among many others, Avatar: Tsu’tey’s Path follows the story of a proud Na’vi warrior whose life is turned upside down by the arrival of Jake Sully of the Sky People. What unfolds is a sweeping tale of sacrifice and heroism set during the original Avatar film revealing events only hinted at in the 2009 blockbuster! Avatar: Tsu’tey’s Path features pencils by Jan Duursema (Star Wars: Dawn of the Jedi, Wolverine: Knight of Terra), inks by Dan Parsons (Star Wars: Dawn of the Jedi, Game of Thrones), colors by Wes Dzioba (Star Wars: Dawn of the Jedi, Mystery Science Theater 3000), and covers by Doug Wheatley (Star Wars: Dark Times). Avatar: Tsu’tey’s Path #1 (of six) goes on sale January 16, 2019, and is available for pre-order at your local comic shop.